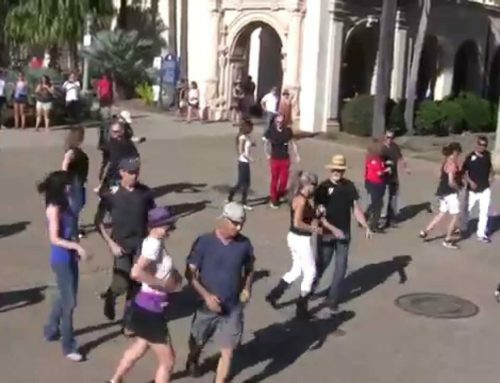 International Flashmob West Coast swing San Diego 2016 performance in front of the historic buildings in the Prado at Balboa Park. 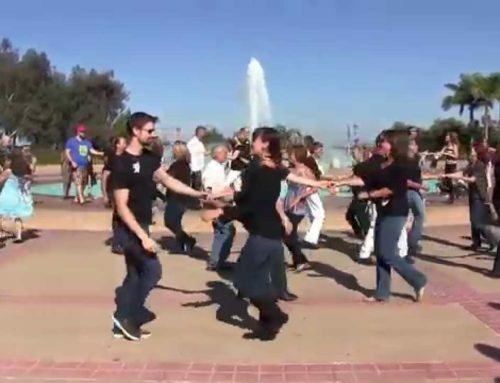 The United Republic of San Diego (URSD), as San Diego Westies are sometimes called, danced with a backdrop of historic San Diego and sunlight, read more about West Coast Swing San Diego here! 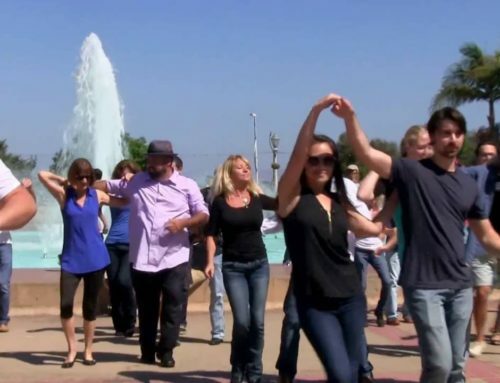 The International flashmob West Coast swing is performed yearly in September in many countries across the globe. It originated in Lyon, France by founder Olivier & Virginie Massart. 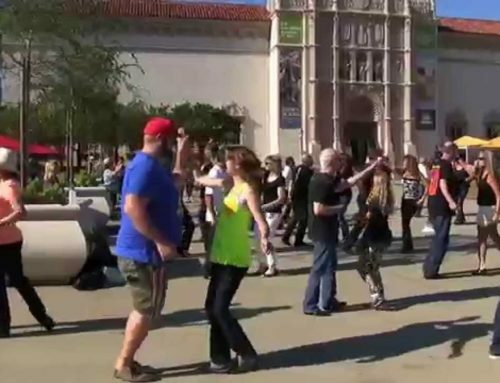 The Massart’s create a new routine yearly and promote it around the world. Afterward, a video editor edits the films of all the participating cities with a short clip from each city on a video clip.